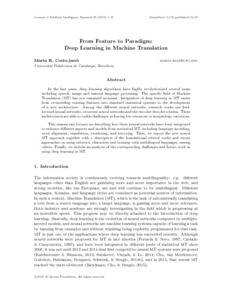 Ruiz, M. From feature to paradigm: deep learning in machine translation. "Journal of artificial intelligence research", 1 Abril 2018, vol. 61, p. 947-974.